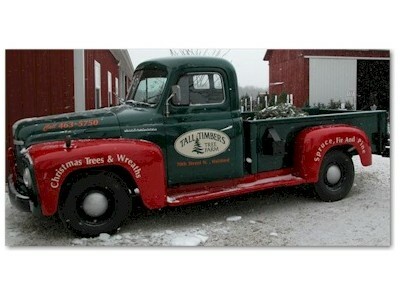 Our wreaths are carefully hand packaged, and start their journey from our farm in southwestern Michigan. With a 98% scheduled delivery rate, and not having to need to be home when your package is delivered, makes us have an outstanding track record for being on time. Our fresh wreaths can be delivered new anywhere in the continental United States, so you know that you and your family can get a beautiful wreath for the holidays, and get it on time. We are confident you will enjoy every wreath you receive from Christmas Farms through our website. If for any reason you are not completely satisfied, we will immediately ship a replacement item to you or refund your money, whichever is your preference. You can be confident of the quality and speedy delivery of our wreaths will make you excited to purchase a wreath from us every year. Since 2002, we have continued to build long-term relationships with our customers, and will do whatever is needed to ensure your satisfaction. Not only do we have a massive selection of wreaths, but we also stay consistent with our products, as well as always try something new to improve our company. If you are in need of a wreath, or a corporate gift, please reach out to us today to see how we can help.